I am a serious mascara addict! I would never buy high end mascaras because I thought they were a waste of money because they dry out so quickly but I was so wrong! Every high street mascara I use never compares to my high end favourites and I just can't get enough. I haven't tried too many products from YSL but every single product I have tried I have fallen in love with and this mascara is no different. I have had this mascara sitting in the box since my birthday back in February as I was waiting to use up my opened mascaras first and I wish I opened this a whole lot sooner! I had never tried a YSL mascara before but I had heard nothing but good things, especially about the Baby Doll Mascara. This mascara claims to make your lashes thick, widely spaced and define the lashes while adding volume and length. The Baby Doll Mascara also claims to have 24 hour wear - who wears their mascara for that long really but I see why it would be handy! The packaging is gorgeous and luxurious in true Yves Saint Laurent style. The tube is a gorgeous shade of gold, it has a good weight to it which makes it feel higher quality, and has Baby Doll written on the front of the tube. The brush is one of my all time favourites as it is a plastic brush which has thicker and widely spaced bristles to coat the lashes from root to tip and it is a short brush while magnifying your lashes. I like that the brush has short bristles as it makes it a lot easier to coat the lashes without clumps and I hardly ever get product onto the skin round my eyes. I am so fussy with my mascaras as I like my lashes to be super long while being thickening and volumising. This mascara does all three of the things brilliantly without making the lashes at all clumpy no matter how many coats of mascara I apply. 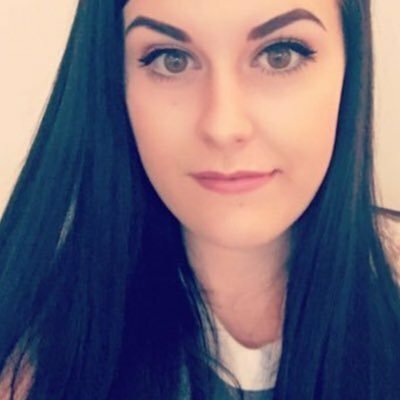 It leaves my lashes almost touching my brows in length (yay!) and it gives them a good amount of thickness. While I do have decent length lashes already I do like my lashes to be extremely long so that they stand out and this mascara makes my lashes gives them the most length compared to any other mascara I have tried. It also keeps my lashes evenly separated while making them look more defined. 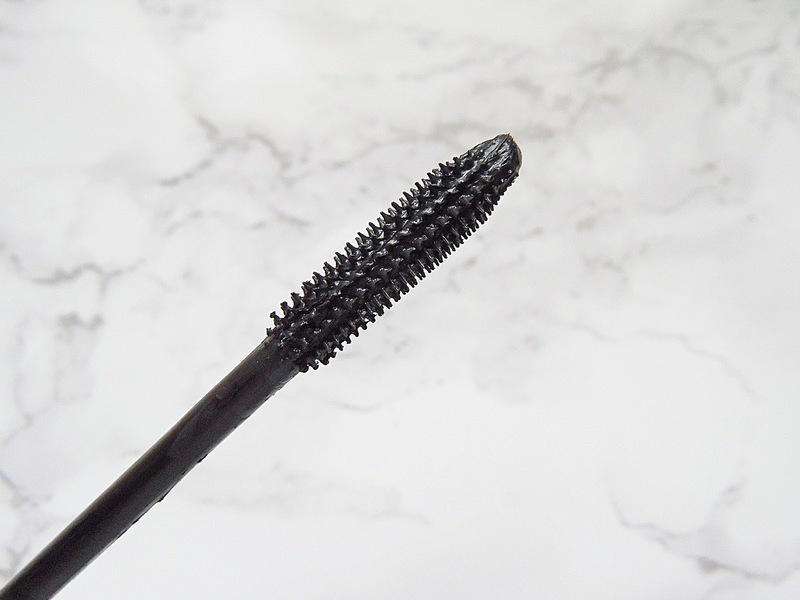 I have been finding with a lot of the mascaras that I have been using recently that throughout the day it will transfer onto the skin and leave those horrible black lines but I am happy to report that this one doesn't! It doesn't matter how long I wear this mascara for during the day it never budges until I remove it and the blackness doesn't fade either. 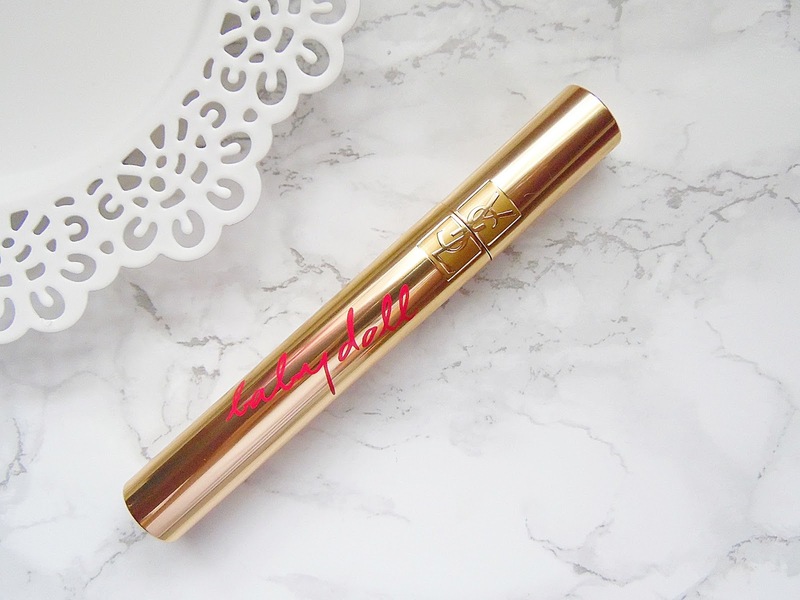 The YSL Baby Doll Mascara retails for £25 - HERE.